Damage Incorporated has always maintained a fun, drama free, mature and relatively progressive raid environment. With that in mind, please feel free to post in the appropriate forum thread for the raid that fits your ability and schedule. 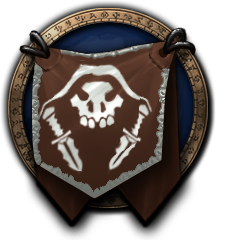 Simply being a member of DI does not guarantee you a spot on a raid roster, however we will always look within the guild to fill a spot before looking elsewhere. Leadership - The raid leaders require your undivided attention during the encounters and adherence to the raid policies, this is vital to our success as a raid. Leadership will try to make the best choices under sometimes trying circumstances, do not make their job any harder than it already is. If you have any comments, save them for after the boss fight or after raid if that is possible. Drama will not be tolerated, period. Roster - The roster is maintained by the raid leaders and is subject to change. Rosters will be posted on the website and calendar events will be available for substitutes to sign up. Attendance - Raid time is posted on the calendar - be online at least 15 minutes prior to raid time. If you can't make it, let your raid leader know ahead of time. The guild website MIA forum, Shoutbox or Discord are great for this. Once you are in raid please refrain from constant afk's. The raid takes a break in the middle of the scheduled raid times, please try to make use of that time as necessary. This system allows the loot master to see who is rolling main and who is rolling offset or transmog at a glance and determine loot distribution faster. Everyone is expected to use their best judgement and pass on loot that is a minor upgrade for you and a major upgrade for someone else. Unclaimed bop gear will be disenchanted and the materials placed in the guild vault. Loot drama will not be tolerated, period. Voice Communication - You do not need to have a mic, just speakers or headphones so you can listen to instructions. We have a casual atmosphere in our raid however it is important to stick to business during boss encounters by keeping chatter to a minimum. Performance - This is a team effort and the team relies on each individual doing their job and not worrying about others. It is your responsibility to read up on, and watch the videos for the boss fights that the raid is working on currently. This will help your performance and that of the entire raid by having prior knowledge of the fight mechanics. Research your class/spec online or ask others in guild for help, we have a lot of knowledgable people in the guild that are willing to give advice. Unfortunately we will have to ask people to leave the raid if they are not performing to an acceptable level. Addons - Even if you are a mod-free type of person there are just a few addons that you should have. Boss Encounters - DBM, BigWigs or some other boss mod that does the same job will do. Damage Meters - The most common are Recount and Skada. Do not ask for or post damage meters in raid or guild chat. Other Addons - There are many addons that can help players, some are class/spec specific, do some research and find out if the addon works for you. Do not use any addons that announce annoying messages in raid. Consumables - Buffs from consumables are required when you raid. Gear - You should be aware of the appropriate gear item level for any current content the raid is working on. Also make sure your gear is repaired. Please keep in mind that our policies are meant to be comprehensive enough to answer any questions you may have however, in the event of any omissions or conflicts the raid leadership reserves the right to change or add policies at their discretion.